My book, Eradicating Female Genital Mutilation: A UK Perspective, will be published by Ashgate in just a few weeks now (September 2015). I am unequivocally committed to eradication, but have also have tried to develop a sociological analysis of the issues; and whilst I have drawn quite often on the UK experience I hope the analysis will serve well as a starting point also for many other places in the western world, including the USA, Australia and of course the various parts of continental Europe. Details from the publisher of the book’s contents, its first review and how (if you’d like to) you can order it are below…. And here are links to the detailed Contents, the complete Introduction (24 pages) and the full Index. 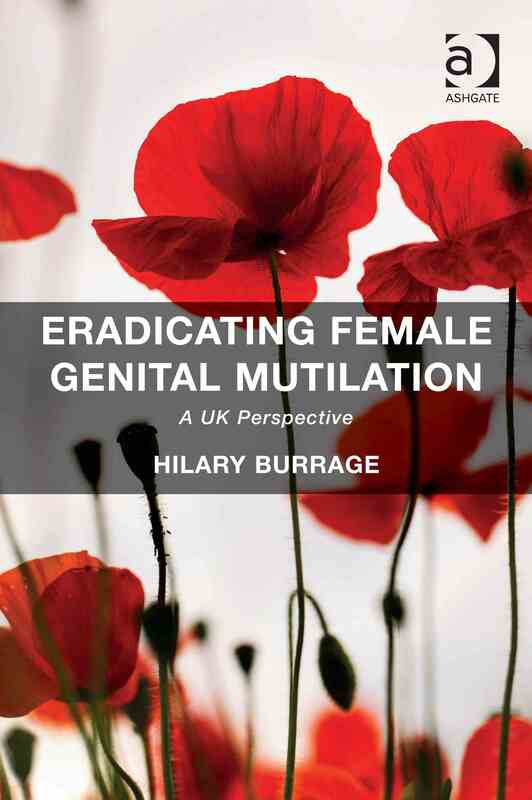 This ground-breaking handbook details the present situation with regard to female genital mutilation (FGM) in Britain, referring also to other Western nations where FGM occurs. It scrutinises current pathways to eradicating this dangerous, sometimes lethal, form of child abuse and gender-related violence. The cultural and belief systems giving rise to FGM are complex. Further, FGM is an intensely intimate matter often imposed on young and vulnerable children. Approaches to its eradication therefore demand considerable human insight and a competent grasp of inter-/cross-agency working. It is also vital that everyone concerned – whether in caring and parental, safeguarding or other roles – understands fully that, regardless of custom or belief, FGM is a serious crime. The vulnerabilities and need for protection of victims and potential victims are paramount, but these pressing priorities do not lessen the requirement that all aspects of FGM be dealt with straightforwardly in accordance with the law. This book makes the case urgently for developing a shared, coherent model – a multi-disciplinary paradigm articulated at the highest level – as the basis to achieve the eradication of FGM. The text will be required reading for health, legal, educational and social services professionals, as well as researchers, policy-makers, school governors, journalists and other concerned citizens. Preface; Introduction; Demography and epidemiology of FGM; Socio-economic analysis; Perceptions and beliefs; Men, women and power; Clinical issues; Legislation and governance; Prevention: formal approaches; Prevention: communities; Prevention: information and education; Prevention: social services and multi-agency work; Politics and the media; Will FGM be eradicated in the UK in a decade? ; Further reading: some suggestions; Multi-media resources; Organisations; Index. Hilary Burrage is a freelance sociologist and community activist. She has been a senior lecturer in health and social care and a university research associate in community health as well as a non-executive director of Merseyside NHS ambulance trust and a trustee of the Liverpool school of tropical medicine. I signed both petitions and will order the book. I think you have done an amazing job! Thank you so much, Karen! That’s really kind. Second book (the round-the-world one) will be out early 2016. Hello Hilary, your book sounds promising. I get so cross with the people who say that stopping FGM starts only with convincing the families who use it. We have been waiting for that for decades with no result: It is a very serious crime and meanwhile thousands of little girls have their futures ruined. I met with Mrs May about it but with minimal result. Look forward to the book! Thank you Fiona! I really hope the book will help a bit. I am a student at college and i am writing a paper on the psychological effects and psychical effects of fgm!!! I would so love a copy of your book but cannot afford it. Keep up the amazing work!!! Thanks Angela. I wonder, have you asked your college library to get the book/s you need? They should be able to stock them. Good luck with the paper, do let me know how you get on.